There’s been much debate online and in schools the past few weeks over the controversial Netflix series “13 Reasons Why”. 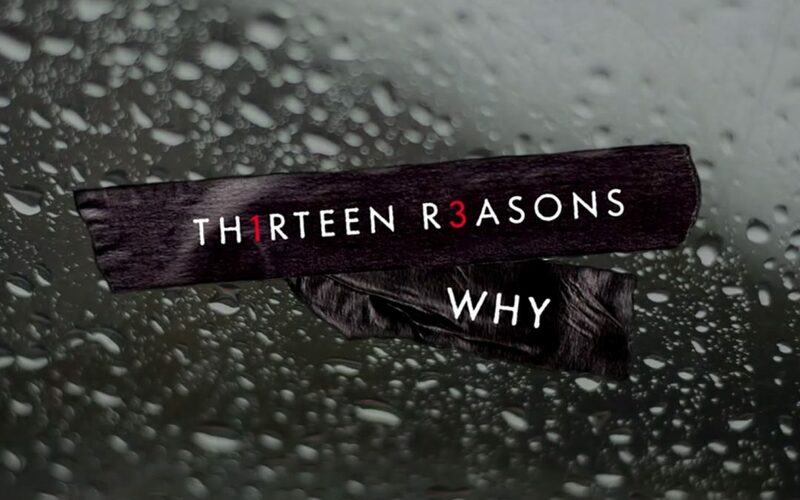 The series is based on a popular book by the same name, which chronicles 13 reasons why Hannah Barker decided to take her life. According to Harold S. Koplewicz, President of the Child Mind Institute, the show “has a contagious effect.” And therein lies the biggest criticism of the production, aside from the extremely graphic nature of the events depicted. Koplewicz points to cases where clusters of suicides have occurred in a community after experiencing the suicide of a peer. There are a few recent cases like this, which have been highly publicized. These include a cluster of teen suicides in Woodstock, Ontario and another in Palo Alto, California. “Suicide clusters” are defined as three or more suicides in proximity in regard to time and space. On the other hand, despite cases of “suicide clusters” as shown above, there’s not a lot of scientific evidence that directly proves one suicide inspires a cluster of others. Arizona’s Banner Health Group, after criticizing the contagion effect of “13 Reasons,” recanted their claims, stating they could find no direct correlation been such shows and suicide. If it were a scientific fact, would it not occur in every community or school? Attempted and completed suicides are, unfortunately, on the rise globally – and especially among our youth. Thus, it would stand to reason that with the rise in individual suicides, the number of suicide clusters would also rise. As a parent who lost a teenage son to depression and suicide, my gut reaction is to yell “don’t let your kids see this!” Why take any chances? If I could go back in time, I think I would be on the side of caution. 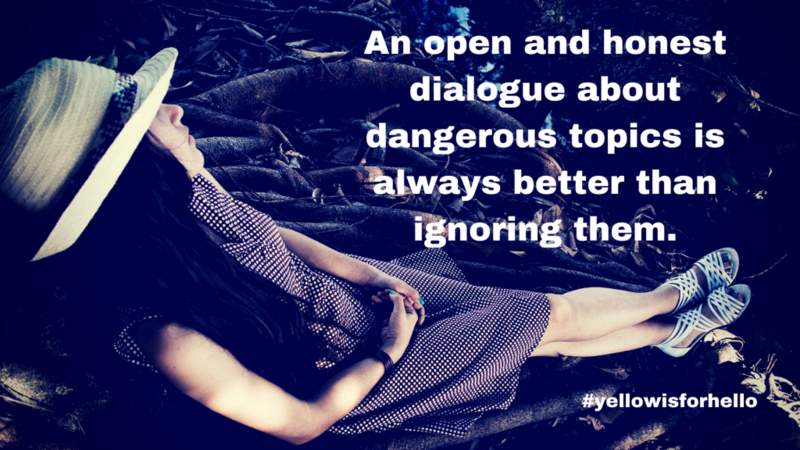 However, after two years speaking to students, parents, and faculty across North America as part of my efforts with the #YellowIsForHello mental health awareness campaign, I believe the problem is not about talking about mental illness and suicide – it’s NOT TALKING about mental health and suicide. If students don’t see this show, they’ll read the book. If students don’t learn about suicides in their community, they’ll read about them online. If the newspapers choose to not report on local suicides students will be exposed to them through social media. I’m not a scientist, and I don’t know for a fact that suicides are contagious or not, although my experience tells me they’re not. The real point is: Students WILL read and learn about suicide, despite our silence on the subject. The question is: Do we want them to do it in the vacuum of the Internet or do we want to guide them through this tough time in their life with education, love, and support? There’s a litany of factors at play today that add additional challenges to students. Some are created by our helicopter parenting, others by social media and technology, and still others by the economy and globalization. Some will point to society’s need to “coddle kids with participation ribbons,” while others will point to the trifecta of competitive college applications, student debt, and low job prospects. These are all themes that I encounter when discussing mental health with kids every week. There are more challenges students must face today; however, they’re not insurmountable. Our kids need to build resiliency and have a bigger tool kit to manage those challenges. However, neither of these things is created by burying our heads in the sand. Not talking about suicide or mental illness does not prevent suicide. If it did, the number of suicides would not be increasing. We can – and should – use books and shows like 13 Reasons Why as inspiration to talk to and educate our kids. We as parents and educators must take it upon ourselves to face the growing challenges our kids tackle with optimism and facts, not silence and ignorance. We must listen without judgment and provide the guidance they need when they are suffering. If not, when they encounter programs like this – and they will, despite your efforts to prevent it – it may be too late. So, for those who claimed 13 Reasons Why glorifies suicide as an effective cure for depression, I say you’re right. But I’ll also say that the series provides YOU an excellent opportunity to sit with your kids and discuss the events unfolding on screen. The problem is not just the participation ribbons; it’s that parents too often rely on television and social media to entertain and educate our kids without direct and constant involvement. Void of our attention, love, and guidance, they’re left to their imaginations and the “wisdom of crowds,” which, often, isn’t wisdom but a collection of bored and unsupervised students left to their own devices on the Internet. Now, that said, I do have a large criticism for the producers of 13 Reasons Why. I’m not against the subject matter, the depiction of a teen’s suicidal ideation or her succumbing to the disease. This story is real and mirrors what many teens are experiencing in real life every day. My criticism lies in the fact that they had a tremendous opportunity to educate teenagers — and they failed to do so. Clearly, their goal was dramatic effect and ratings, not education and outreach. However, whenever a responsible person or corporate citizen takes on this subject matter, especially if they’re planning on profiting from it, I believe he, she or it has a responsibility to the audience. A responsible act here would be to include more editorial messages with phone numbers and links to support groups, teen distress centers or suicide prevention hotlines during or after each episode. They produce a show that will be a trigger for many people suffering and so they bear some responsibility to at least provide connections to support personnel for those they’ve triggered. Had Netflix decided to be a good corporate citizen, the controversy over this show would still have sparked media attention but at least they’d have contributed to a solution, not perpetuating a problem. One last point: While I believe Netflix was irresponsible in the execution of this program, the real onus is on parents. We have the option to supervise what our kids watch and use these programs as a trigger for education and support. My son’s suicide was not hidden, it was discussed in the public within his high school, university, and community at wide. And yet, there were no reported cases of suicides – by individuals or clusters – because of the media it generated. The opposite is true, in fact. Because we were so open about it and used his death to educate his friends and peers in the wider community, his death has led to many suffering in silence to ask for help. And in some cases, saved the life of those at a crossroads. The morale of the story here is that in today’s modern, digitally-connected world, open and honest dialogue about such dangerous topics is always better than ignoring them, hoping they’ go away. We cannot control the media, we cannot control Netflix. We can, however, use the available data as a tool to talk to our kids and friends and to educate, listen, and support them.